It’s no surprise we’re all freaking out and many of us, myself included, only recently began learning about markets, market movements and cryptocurrencies; and by recently I mean within the last two years. 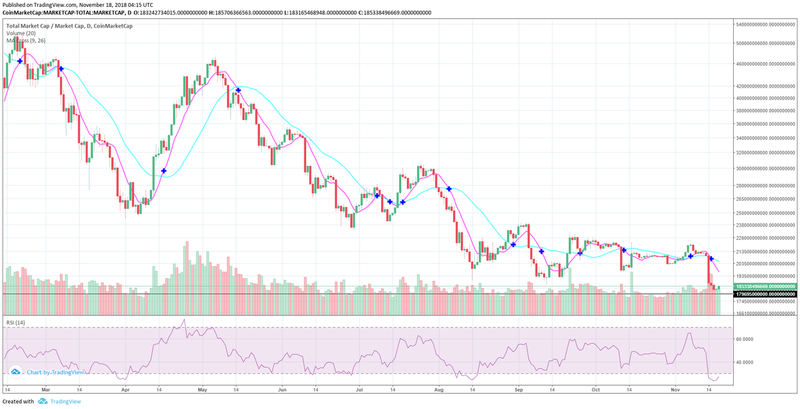 First of all let’s take a look at the Market Cap, that is the overall money flowing in and out of the cryptocurrency market, take a look at the following two charts, one zoomed in and one out. Notice the bounce on the support line above, and the RSI changing direction. This is the same chart zoomed out. 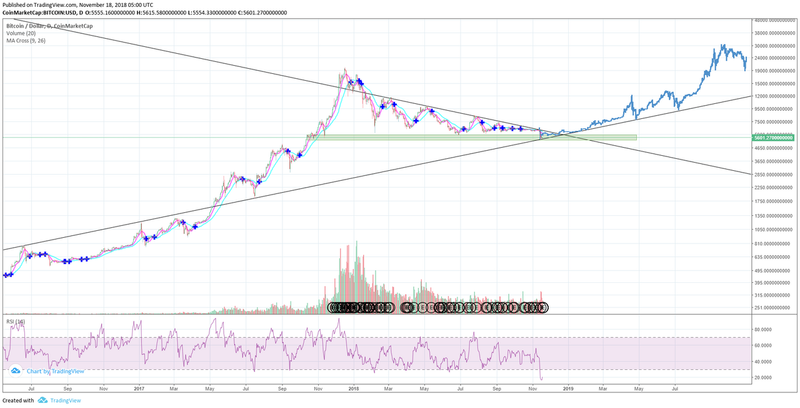 You can see the trendline acted as resistance at two points in history between September and November 2017 before breaking through, history repeats and we’re back there again. Hopefully it has enough strength to hold otherwise I see the market cap falling to approx 117bn. I don’t see sufficient volume at this point for any major swings, and market sentiment is bearish, I would bet we float around the current range for another few months. Time will tell. 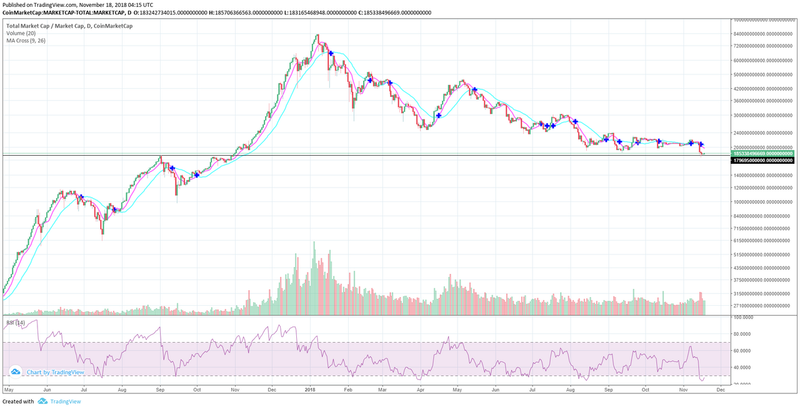 I feel short term there’s potential for a small profit, we’ve made a clean bounce off the support, hopefully sustained if volume is sufficient. What do we want? The MOON🌑 When do we want it? NOW! Could this be the future? Hopium Maximum. Here’s a beautiful chart of Bitcoin, and what I would LOVE to see. Time will tell if this horizontal support line holds and if the bottom is FINALLY in. This is in no way solid technical analysis… but we can certainly dream.